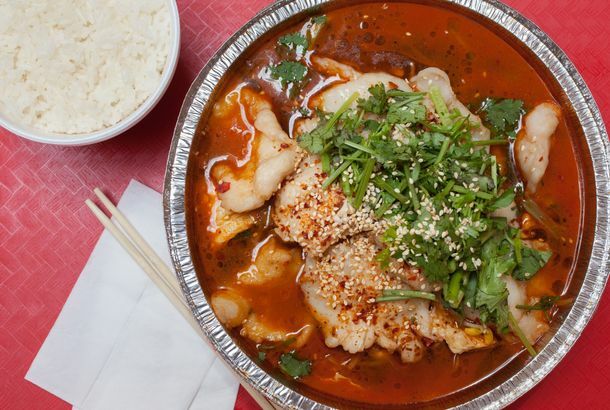 The Absolute Best Chinese Restaurants in New YorkWhere to find a nourishing bowl of noodles, a fiery Sichuan fix in midtown, and the annual big-money, banquet-style splurge. The Chinese Word for Anger Shows the Best Way to Get MadWhether personal or political, it’s good to generate qi. New York Restaurant Review: Hao Noodle and Tea by Madam Zhu’s KitchenAt Beijing restaurateur Zhu Rong’s first-ever U.S. restaurant, an innovative modern Chinese menu meets impeccable, old-world technique. The Absolute Best Chinese Restaurants in Sunset ParkThe best way to eat in the neighborhood is to focus on the fast and the cheap. Gui Lin Mi Fen Brings a Seldom-Seen Rice-Noodle Soup to Queens’ ChinatownThe bone broth is served on the side. Shaved Ice, Stinky Tofu, and Ba-Wan At The Taiwanese Heritage Festival, SundayThough there will be lion dances and a beauty contest, you’re really here for the stinky tofu and shaved ice. IDG’s Chi-Lin Opens Today Next To RivaBellaThis is for anyone interested in high-priced Chinese nightclub food who can’t wait for Hakkasan to show up. 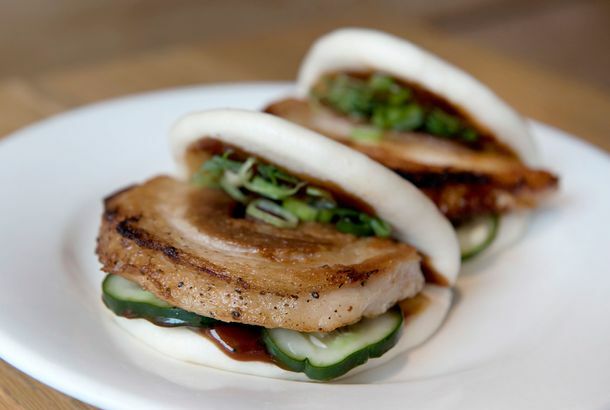 Downtown’s Peking Tavern Turns To Kickstarter To Complete Its BarCo-owner Andrew Chiu explains that he and partner Andrew Wong have put two years and a lot of dough into the Chinese gastropub project. Watch Tom Cruise Make Soup Dumplings at Din Tai Fung, Also Opening in SouthOwner Frank Yang smells success in Southern California’s shopping malls. 5i Indochine Brings Dim Sum and More Pho To Culver CityThe restaurant features a mish-mash of Vietnamese, Thai, and Chinese dishes. Pingtung Brings Taiwanese Market-Cafe To Melrose; Praha Puts Redondo Beach inThe new cafe and bar comes from former New York restaurant owner Li Ping. Rodell Labels Alma A Gem; Gold Gobbles Fish Heads at Hunan MaoDown in the O.C., Brad A. Johnson squeezes into The Cellar in San Clemente. IDG Bringing Cecile Tang’s Chi-Lin Next Door to RivaBellaTang is the successful Hong Kong filmmaker behind the Beverly Hills restaurant Joss. Lollicup Bringing Boba Tea and Squid Balls to SawtelleThe boba and milk tea specialist had its start in San Gabriel before expanding to China and the greater U.S.
First Public Fruit Park Opens in South Bay; Adam Horton Joins WhistIn other news, Ziggy Marley considers opening a local health food restaurant. John Sedlar Launches Mexi-China Menu at PlayaDishes include Mao’s maize cakes and pork pibil potstickers. WuHan, Gold’s Got You All in Check; Rodell Savors The Camp at MessHallThe L.A. Times critic eats the Chinese city’s signature re gan mian and gets a dose of bullfrog stew. 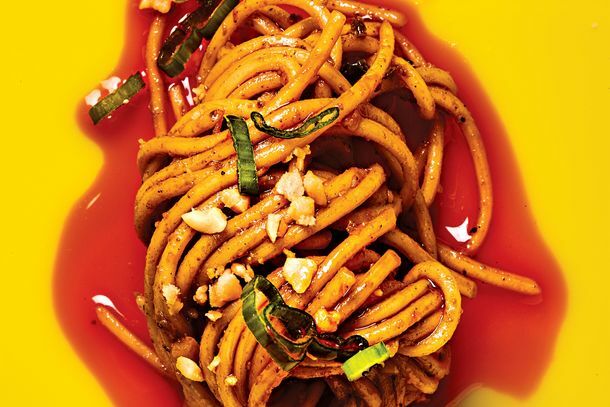 Empire of the Burning Tongue: How Mission Chinese Food Perfectly EncapsulatesAnd what’s next for Danny Bowien, the world’s most unlikely celebrity chef, who now has his sights set on Paris, Oklahoma City, and burritos. Vim Thai-Chinese Expands to Melrose LocationThis is the 32-year-old chain’s fourth restaurant. SGV Sea Cucumber Bandit Behind BarsAn accomplice is still at large and targeting your supply of the valuable delicacy. Free Coffemakers For All at Coffee Bean & Tea Leaf; Zam Zam Expands Hours andAnyone bringing a busted old machine to the West Hollywood location gets a gratis one valued at $179.99. eBay here we come! Peking Tavern Promises Downtown Some SGV-Caliber ChineseOwner Andrew Chiu says it may even be “better” than L.A.’s Chinese capital, and SinoSoul chimes in. The Gastropub Boom Meets The Chinese Food Craze and Street Food Fever inPeking Tavern strives to bring a bar scene together with authentic Beijing street cooking. IDG Brewing Chinese Concept in West HollywoodCompany co-founder Lee Maen claims it is “with someone really special,” but he’s not saying who just yet. Watch a Supercut of All the Chinese Spoken in FireflyWell, that’s certainly one way to learn the language. 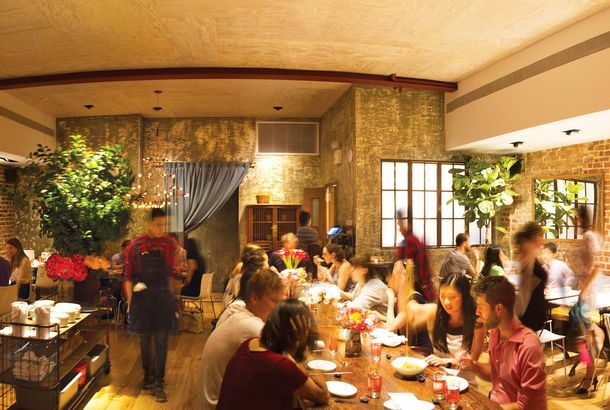 First Look at Mission Chinese, Now Spicing Up the Lower East SideSee the menu and the space of NYC’s most-anticipated new opening. Cold Tidings for Hot Pot LoversTwo of downtown’s already scant hot-pot options have shuttered. First Look at Yunnan Kitchen, Opening Tonight on the LESSee the space and scope dishes, including fried potato balls and pork belly with mint. More Details on Xi’an Famous Foods’ Sit-Down RestaurantOpening on Main Street in Flushing next month! Why (626) Night Market Sorta Sounds Cooler Than CoachellaWell, Dr. Dre won’t be there, but you can catch oyster and intestine mien xian. First Look at Hakkasan, Bringing Haute Chinois to Midtown TodayThe Michelin-starred London-based restaurant hits NYC. The Ins and Outs of Getting Drunk in The SGVWhile The Fung Brothers can’t find a drink, our unofficial guide to the region argues differently. Wendy’s Deposes Burger King; Taquero Shot in Foot in South L.A.The burger chain known for its ginger mascot is now the number-two fast food chain.